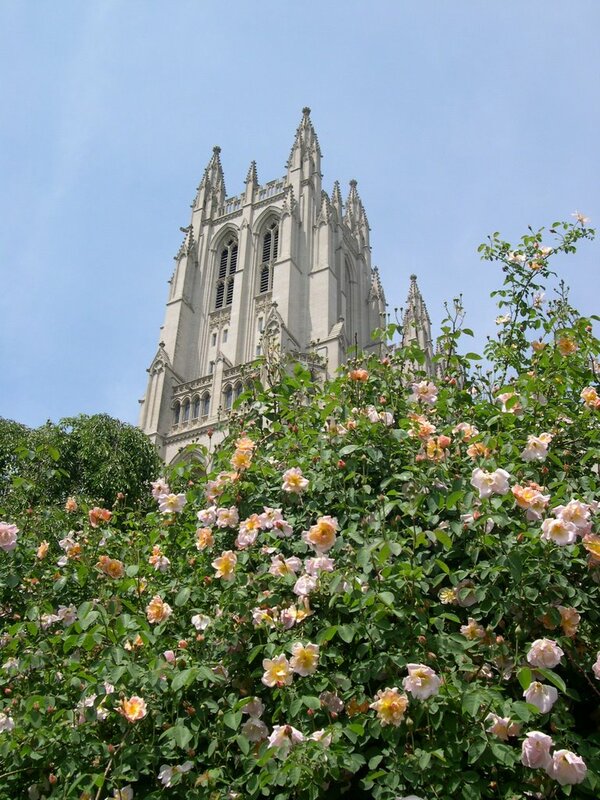 Explore Dupont Circle - the neighborhood at the heart of Washington, DC's Gilded Age and at the historic beginning of Embassy Row - where original turn-of-the-century buildings are home to a wide range of museums, galleries, embassies, and an eclectic assortment of restaurants and businesses. This vibrant community celebrates its rich and unique history with a neighborhood-wide scavenger hunt, sheep shearing, an antique car rally, and craft demonstrations along with many other festive events. A variety of special museum exhibitions, live music, food, and activities for adults and children are offered throughout the weekend. Anderson House,Fondo del Sol Visual Arts Center, The Mary McLeod Bethune Council House National Historic Site, Meridian International Center, The Phillips Collection, The Textile Museum, and Woodrow Wilson House will be open free of charge with free activities for all ages. Act now, and spread the word. The National Park Service (NPS) has released an Environmental Assessment (EA) on the Georgetown University (GU) boathouse for public comment. The boathouse is proposed for a location within the C&O Canal National Historical Park at the narrow, busy, fragile gateway to one of the crown jewels of our entire National Park System. The site is a wooded, tidal floodplain containing wetlands, at the entrance to the Capital Crescent Trail (CCT) and the Potomac Gorge, and near the historic Canal towpath/levee. No construction should be allowed at that location, much less an enormous GU boathouse -- almost the length of a football field -- for one group of collegiate rowers. Please help protect the Park from this misguided proposal by sending a letter to NPS expressing your opposition to the plan. Request a comprehensive study and full Environmental Impact Statement of the entire waterfront that will take a truly "hard look" at alternative locations outside the Park for three new boathouses proposed for the area. Thanks for your interest, and please spread the word! If you are in Penn Quarter near the MCI Center, walk on over to 901 E Street NW and take a look at Jodi's beautiful paintings on wood and David's metal sculpture. 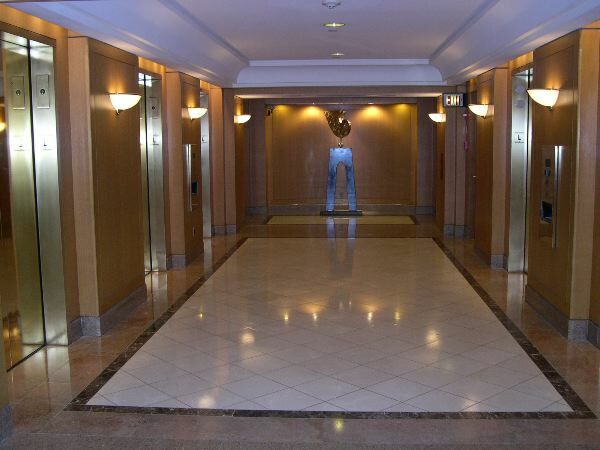 My favorite of David Hubbard's is in the lobby foyer near the elevators. His tribute to music is a stunning sparking piece which you can almost hear the jazz. It's worth a visit to see these two artists work. LAST DAY FOR PASS GALLERY - PASSTENSE!!! 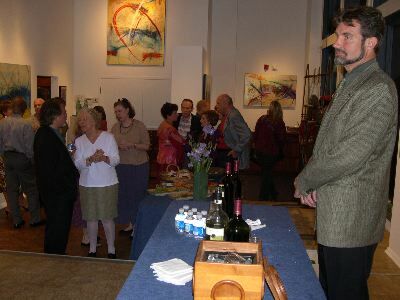 If you have a chance, go see this survey show of Washington artists on Tuesday, May 30 from 1-5pm. It's the last day of the show. Don't miss it. 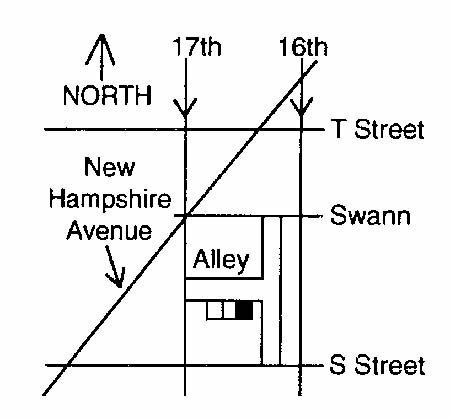 Pass Gallery entrance is in the alley off 17th St. NW between S & Swann Sts. Just walk halfway down the alley and you're there. May 5-30, 2005. GALLERY HOURS: Tuesdays and Saturdays 1-5 PM and by appointment. 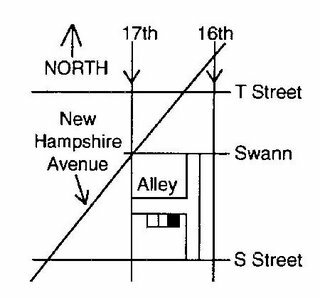 LOCATED: at the rear 1617 S Street N.W. Washington, D.C. 20009. For more infomation, call Richard Siegman (202) 745.0796. 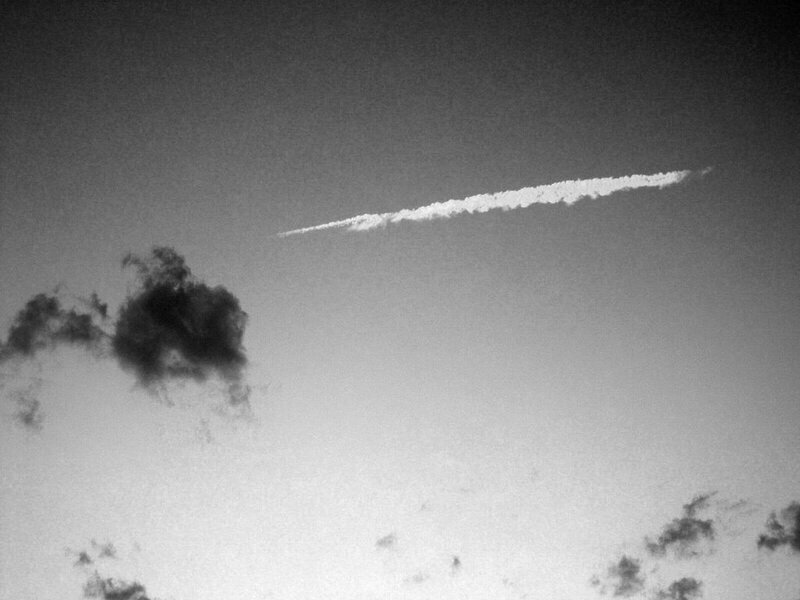 Cloudscapes have always held a fascination for me. When I look at cloud movement, I often see the reflection of the patterns of the invisible energies of our physical world. Sometimes whimsical shapes float and engage me. They are there for the artists eye to conceive and translate into two dimensional passages of visual poetry. 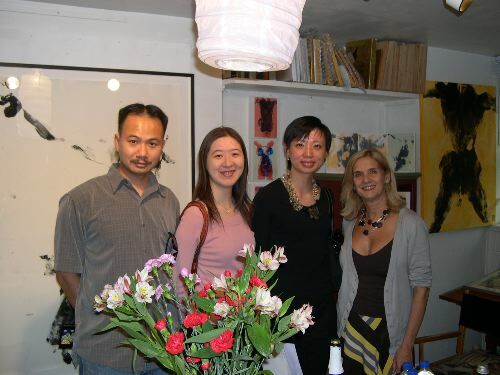 A one time chance to see art product manufacturer's under one roof and test new art products!!!! Sign Up Now! for next weekend. New Learning & Product Expo: Art! to be held in the Washington, DC, Metropolitan Area. Building on the success of their Burbank 2005 event, Fishback/Gruen, LLCis pleased to announce an east coast Learning & Product Expo: Art! 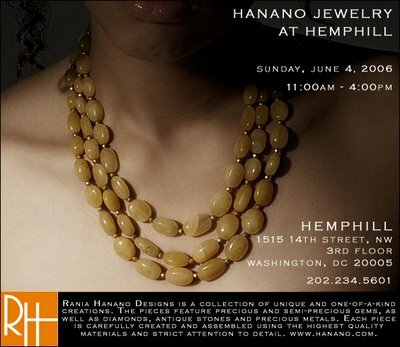 to takeplace June 2-4, 2006 in the Washington, DC metropolitan area.Learning & Product Expo: Art! is a consumer event where artists can choosefrom a program of 200 hands-on-workshops, lectures and demonstrationstaught in all mediums, and visit an exhibit hall of art material manufacturerswhere they can buy art supplies, see free demonstrations, and experiment with new materials. The venue for the Washington, DC metropolitan area show is the Marriott Inn & Conference Center at the University of Maryland University College in Adelphi, Maryland. The center’s handsome Georgian buildings are home to one of Maryland’s finest art collections, an environment that truly inspires creativity. "The Quest for Color: A Painter's Palette"
Gail Spiegel has a unique and refreshing approach to color mixing that provides outstanding lessons for artists working with both traditional and modern pigments. Working with strong, clean color is a key to fully developing the working properties of pigments. A better understanding of the color vocabulary allows an artist to explore new mixing capabilities. This lecture will be accompanied by a mixing demonstration. The National Gallery of Art, located on the National Mall between Third and Seventh Streets at Constitution Avenue, NW, is open Monday through Saturday from 10:00 a.m. to 5:00 p.m. and Sunday from 11:00 a.m. to 6:00 p.m. I am always humbled and impressed by the knowledge of the conservators and scientists who are associated with the arts. Professionals in this field are toiling away at building an ever-expanding body of knowledge about how art materials function and age. I was privileged to attend the conference “Modern Paints Uncovered” sponsored by the Tate Modern, Getty Conservation Institute and the National Gallery of Art, Washington, held in London last week. About 200 people from dozens of countries came together to discuss the mechanical properties of paints and how conservators might approach cleaning them given what we currently know about how they function. Even though the conference did not specify a particular medium, the focus was predominantly on acrylic paints. Many artists take it for granted that acrylic dispersion paints have been a staple in the vast array of selectable materials for making paintings. While it would be silly and inappropriate to use the emergence of acrylics as a turning point in art so that we would designate art as “BA,” Before Acrylics, and “AA,” After Acrylics, their impact is remarkable nonetheless. Obviously oil painting does not cease after the introduction of acrylics. Acrylics do not emerge from under a rock, stare inquisitively at the morning sunlight, and trudge out to conquer the world. Like any new product, they are introduced cautiously, testing the market by gauging the reaction in both sales and ideological acceptance. The first proverbial “toe in the water” came with the introduction of acrylic primer. The material “revolution” started with a quarter page ad showing an awkward looking metal container bearing a label that said, “Gesso, A Complete Painting Ground, “ along with bullet points that were mirrored in the text of the advertisement. The ad stated that the gesso was a “synthetic resin emulsion that thins with water, produces paint films that are exceedingly tough and durable, permanently flexible, non-yellowing, insoluble in water, adheres to any non-oily surface, dries in a matter of minutes and may be overpainted rapidly.” The only thing that was missing was the “void where prohibited, taxes and license fees not included and your results may vary,” disclaimers that we hear on many radio advertisements. That list of selling features for acrylics has not changed much since that advertisement appeared over 49 years ago. Vast improvements and modifications have been made to acrylic paints and grounds since 1957, but the performance points have remained nearly the same. Make no mistake; acrylic resins were not invented for the art materials market. The improvements and changes were done for the commercial paint industry. As lecturers pointed out in the “Modern Paints Uncovered” symposium, synthetic resins came about at the turn of the 20th century. As many synthetic spirit-based paints developed between and after World War II, acrylics similar to what we are familiar with were commercially introduced in 1953 as the binder in house paints. The literature indicates that acrylic artists’ paints were developed, launched and marketed in 1954. It is interesting to note that in my own research, advertisements for acrylics, gesso in particular, did not appear until early 1957. I find it odd that these products were absent from magazines catering to artists for approximately 3 years after being launched. This warrants further investigation. Returning to the main point is that the working properties of acrylic paints and thus the foundation for marketing these products has remained virtually unaltered for the last 50 years. With skeptics of acrylics casting doubt on the medium, it is interesting to note that the physical attributes of acrylics have not wavered a great deal. They remain true to their original claims. The one thing that has changed over time is that we have a performance history that is naturally based and a second line of research that is derived from artificial aging and testing. The conference proceeding gave no indication that acrylics were fraught with devastating problems and unanswerable questions. On the contrary, scientist can now characterize and understand this medium with far greater ability than in the past. Solutions to issues about cleaning paintings and establishing long-term care protocols seem to be just a few years away and in plenty of time to preserve the growing body of works painted in acrylics. This conference was just the first round. I am certain that “Modern Paints Uncovered” inspired scientist and conservators to continue working toward mutual understanding of this amazingly complex medium. Scientists are still unraveling some of the issues related to acrylics. They are electrostatic and attract dust, soften when in a hot environment and become glass like when cooled to low temperatures. However, we have both the knowledge and tools to mitigate the issues that come with acrylics. Just as with oil paints, artists using acrylics must follow some guiding rules. 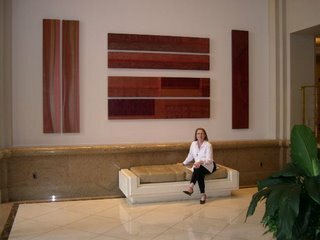 Responsible manufactures provide a wealth of assistance in guiding acrylic artists to create sound and long-lasting paintings that overcome the negative aspects that are linked to all art materials artists can select. We live in a technical world and no matter what media we use, we need to master some principles related to the working properties of art materials. While the conference did not focus on oil paint, it was stated that they are still part of the definition of “Modern Paints.” We live in a glorious time for making art. We have the choice of many aqueous and oil based media. Each has outstanding working properties and can be exploited to provide artists with the means to create a personal expression. The trip was very invigorating and the free time visiting The National Gallery, the V&A, a major art manufacture’s and walking on nearly every major street in London gave me lots to ponder. With much to share in future Grammar episodes, we say goodbye to spring and welcome the summer season. Have a safe Memorial Day. Charbel Ackermann: "The New Geometry" and "Monument2"
In this off-site exhibition, Irvine Contemporary presents the installation work of internationally acclaimed, London- based artist Charbel Ackermann: "The New Geometry" and "Monument2". 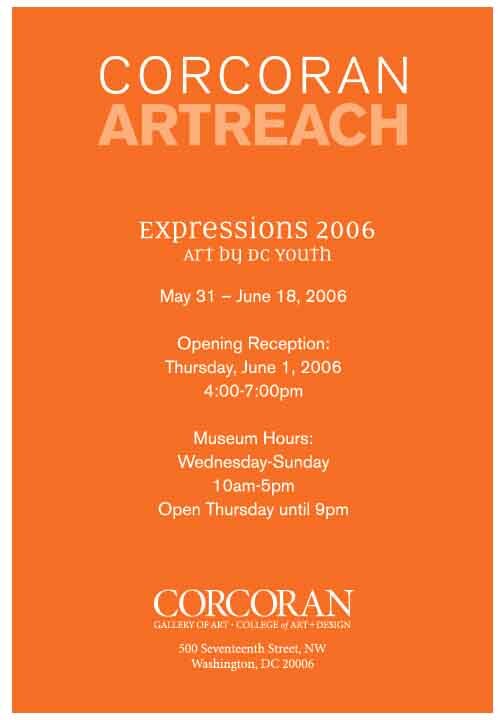 This exhibition is presented in collaboration with The Gallery at the Warehouse, Washington, DC. In “The New Geometry”, Ackermann literalizes the "The Axis of Evil" metaphor from the 2002 State of the Union Address, and maps it onto multiple visual representations of the world. Using unaltered maps and satellite photographs, Ackermann re-presents the earth as if configured on this axis through a series of drawings, lithographs, mathematical calculations, and blackboard deductions, all reassembled for a culminating computer-projected presentation. One stunning image presents a straight line as from a 22,344km flight from Havana to Pyongyang, intersecting with Baghdad and Tehran, using satellite images obtained online through Google Earth. A realization of this project was also presented at The Drawing Center in New York (June-July, 2005). “Monument2” ("Monument to Monuments," or "Monument Squared", created specially for our Washington exhibition, is a stunning mural drawing based on an ancient Roman triumphal arch. Ackermann’s Monument is a unique, interactive drawing: the monument is redrawn from thousands of original barcodes, each encoded with text fragments and Ackermann's own writing. Each barcode is programmed for a text message and is readable with handheld scanners which viewers can use to project texts in the inscription space of the arch. Constructed as a reflection on monuments and the cultural messages they encode for history, Ackermann creates a symbolic trajectory from the SPQR (The Senate and the People of Rome) inscribed on the Arch of Titus to Washington, D.C., the prime location of monuments in the U.S. and a city defined by architectural references to classical Rome. Ackermann loads his barcodes with the philosophical, the impossible, the poignant, and the preposterous, leaving us delightfully reeling in the overlays of history and the meanings of monuments, and questioning if what we are reading is historical 'truth' or cultural 'fiction'-- or both. New Limited Edition, Hand-Finished Lithographs for "The New Geometry"
For the Washington, DC exhibition of Ackermann’s “New Geometry”, Irvine Contemporary announces our first published print edition, consisting of Charbel Ackermann’s extraordinary hand-finished, limited edition lithographs. Ackermann has selected four of the “New Geometry” drawings to be recreated as four-color lithographs, each with hand-finished details, in editions of 10. The original prints will be on view at the Warehouse Gallery on 7th Street and at Irvine Contemporary on 14th Street during the exhibition. 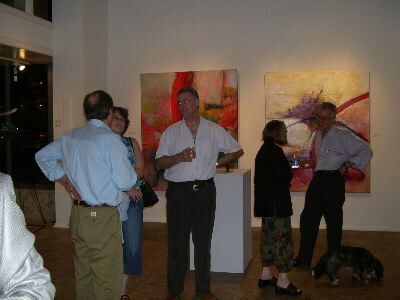 Reception for the artist, Friday June 2, 6:00-8:00 at The Gallery at The Warehouse, 1017-21 7th Street NW, Washington DC. Artist's talk and afternoon reception, Saturday, June 3rd, 2:00-4:00 pm also at The Gallery at the Warehouse. Special thanks to Molly and Paul Ruppert of the Warehouse for their collaboration on this project. For further information, contact Martin Irvine or Heather Russell at Irvine Contemporary, 202-332-8767. In this large one-gallery installation, Chakaia Booker continues her sculptural exploration of the African American experience, feminism, and the work ethic in America. In her a “post-industrial” objects made from automobile tires, Booker develops her own version of environmental consciousness and rehabilitation. At the same time, her works comment upon the industrial machine and what it makes of men and women and their relationships—“the ensuing conditions of unmet needs and desires,” as she calls it. Ultimately, her sculptures are barb-tongued images in which formal innovations dovetail with force exercised and force absorbed. We had a great weekend filled with travelers from all parts of the world. I counted Peru, Canada, China, France and Brazilian visitors plus art lovers from the neighborhood and the surrounding metropolitan area. 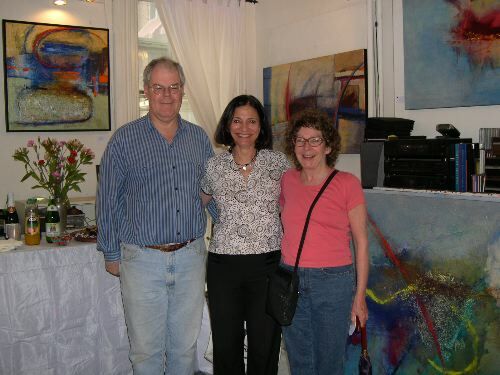 A lot of our visitors read about the event in Best Bets of the Washington Post last week.The Dupont Current spotlighed the Mid City Artists Open Studios in it's weekly issue thanks to writer Jessica Gould. 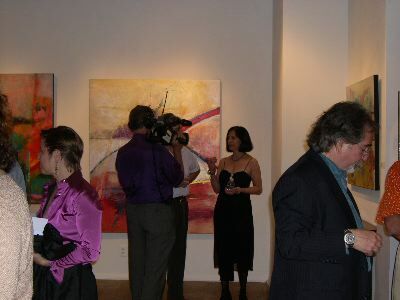 And the Washington Blade interviewed several of the participating artists. 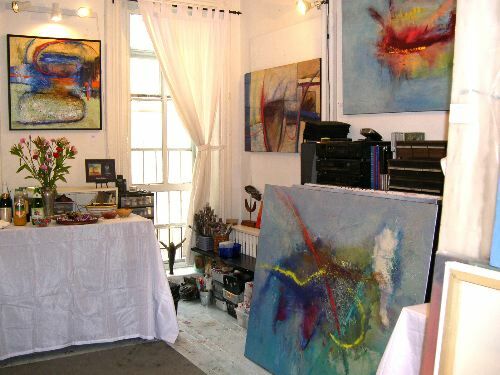 The spectacular weather made it easy to take the walking tour of studios between Dupont Cicle, Logan Circle and Shaw. Freya Grand, myself and Angela White greeted between 15-20 art lovers, collectors and visitors an hour on both Saturday and Sunday (more on Sunday). 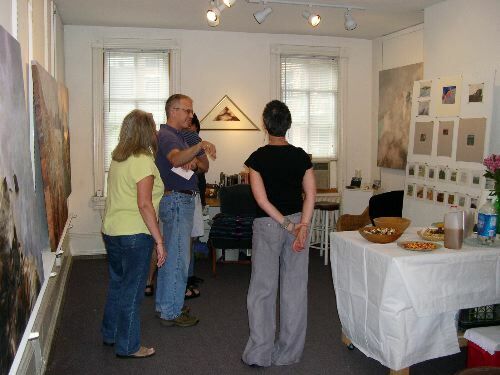 So thanks to everyone who came out to support the arts, talk with artists, purchase fine art and enjoy our historic neighborhoods on two fabulous sunny days in May. You made our weekend and we hope we made yours a little art friendlier in your home. Come back in the fall when we will have new selections for your collections. 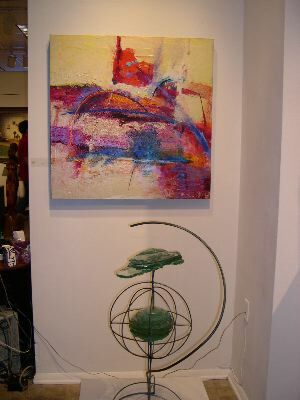 If you saw art that you'd like to own and are still considering it, give us a call. We'll be happy to help you. Here's a few pictures from our weekend. ( I had to have a friend run around and photograph for me since I was busy talking nonstop!) It was a sweet weekend with a Peruvian grandmother who made my day on Sunday. You never know who's gonna show up! 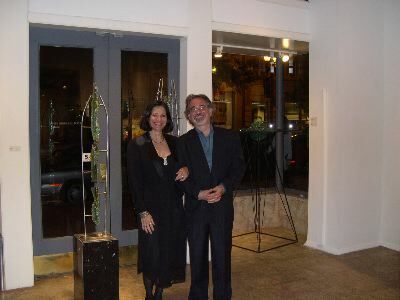 Anne Marchand with Neon Sculptor Craig Kraft. Freya Grand unveiling a landscape painting. Thanks to our beautiful graduating Patience for welcoming our guests. Good luck on your new journey through life! Be sure to mark this performance on your calendar!!! The play is sprinkled with many references to Picasso’s art—featuring Guernica quite prominently. The acclaimed author of Death and the Maiden unveils an extraordinary reimagining of Pablo Picasso living in a time of terror: What if Picasso didn't die in 1973 but was murdered by the Germans during the Occupation of Paris? And what if it wasn't Picasso's body that was murdered, but rather his soul? A work of dazzling innovation, romantic intrigue and probing dilemmas for our time. BEHIND THE SCENES! The designer's Web site is worth a look! CLICK HERE to visit the Web site of Lewis Folden, the set designer for Picasso's Closet. You'll find photos of Picasso, Dora Maar, paintings by Picasso and Lewis' intricate models for our Picasso's Closet set. 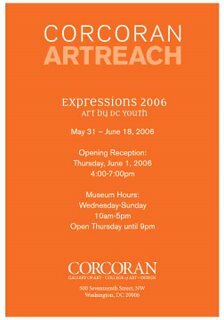 LOCATION: Aaron & Cecile Goldman Theater at the Washington DC Jewish Community Center at 1529 16th Street NW in Washington, DC, 4 blocks east of Dupont Circle. Immediately following many Sunday matinee performances, this discussion series brings together the finest panelists to explore issues of social, literary and political significance aimed at augmenting the playgoer’s experience. FREE with Picasso’s Closet ticket. A panel exploring the choices—civic responsibility vs. and personal comfort—faced by artists under difficult circumstances. A discussion of the realities and choices faced by artists, Jews, French citizens and others under Nazi occupation. With Ambassador of France Jean-David Levitte and Professor Renee Poznanski, Ben Gurion University of the Negev. Picasso – Can a Bad Man be a Good Artist? - A discussion of the psychological and philosophical dimensions of Picasso as human being and artist. You to can be Pablo Picasso! Colored chalks will be provided for your own artistic explorations. This and other paintings will be on display during the open studio, Giclee prints and posters of my cityscapes will also be available. We look forward to seeing you. 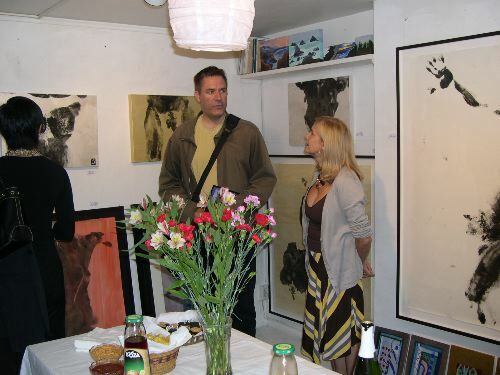 along with the studios of Freya Grand and Angela White. 3 blocks east of the Dupont North Metro stop on the red line. 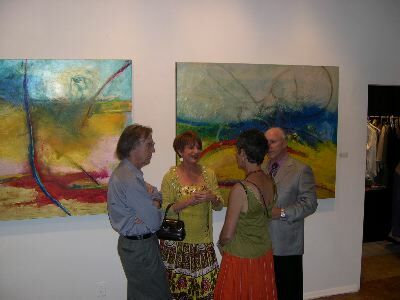 Marchand’s new body of abstract paintings through June 4, 2006. Stop in and say hi on Saturday, May 27 and June 3 from 1-3pm. I'll be there to talk to you about my newest paintings in the exhibition. Looking for an exciting weekend filled with art? Come to the Mid CityArtists Open Studios . I'll be participating with 30 other artists. Wear your walking shows to tour through Dupont, Logan and Shaw's art neighborhoods. Walk, talk, look and shop your way through an exciting line up of painting, sculpture, glass, photography and prints by established and emerging artists. 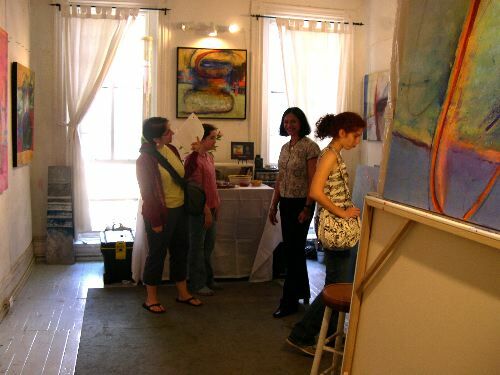 You will meet the artists firsthand and learn about their creative processes. Bring your interested art lover friends out for an extraordinary day of visual delights. Download a walking map at www.midcityartists.com. Come and let the Camerata's voices lift you in song as we celebrate our newest CD release with a concert of glee club classics. We'll perform songs from our brand new recording including Biebl's Ave Maria, Shenandoah, Down in the Valley, and The Battle Hymn of the Republic. As a special treat, we'll be performing a brilliant new work written for the Camerata by the great American composer Lee Hoiby as a dedication to Army Pfc. Jesse A. Givens - a solider killed in the war in Iraq. Joining us as a special guest choir for part of our program is the Annandale High School Men's Chorale under the leadership of director Carleen Dixon. Tickets for the concert are $30 each and selling quickly - get yours today by puchasing below or calling the Kennedy Center Box Office at 202-467-4600! In May, Pyramid Atlantic Arts Center, a 501(c)(3) nonprofit will present an exhibit of the work of 25 New Orleans artists. 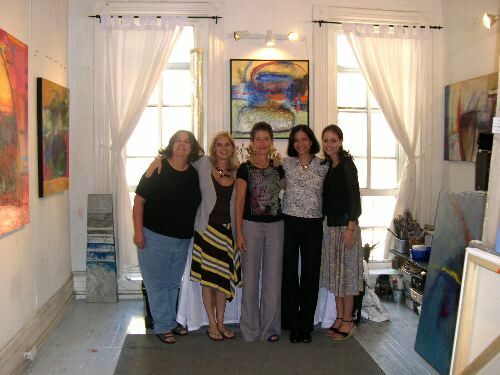 More than an exposition of recent artwork, "Art from the Gulf: Reflections on Katrina" will help reunite these 25 artists so that they can make sense of the storm's destruction, consider the future of New Orleans, and begin to lead the cultural front of the process to renew the Crescent City. AHCMC invites you to join in this process by financially supporting Pyramid Atlantic and its exhibit. 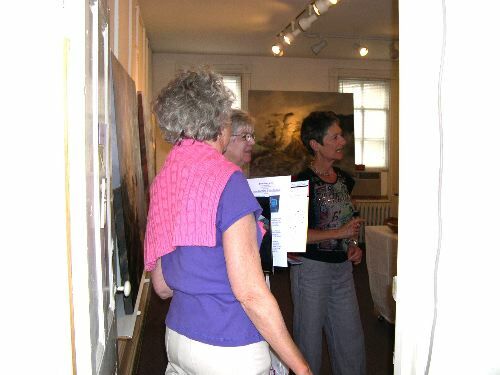 Your contribution is important to the success of the exhibition. The binding theme of all the artwork is community. The artists are exploring the many issues that arose in the wake of Katrinia -- such as wetlands conservation, urban planning, and the idea of home -- that can only be addressed through community action. We urge you to be a part of the community that is forming around this show by attending its opening reception on Tuesday, May 9, and by participating in the exhibit's panel discussion, "Katrina: Art and the Environment," led by artists, environmentalists, and community leaders on Thursday, May 25. Pyramid Atlantic will donate half of the show's proceeds; exhibiting artists will keep 50 percent of sales, while Pyramid Atlantic will donate the other 50 percent to the Arts Council of New Orleans in order to aid artists who lost their studios, equipment, and artwork to Hurricane Katrina. For more information on how you can support this important exhibition, please contact Pyramid Atlantic at 301-608-9101 or info@pyramid-atlantic.org. 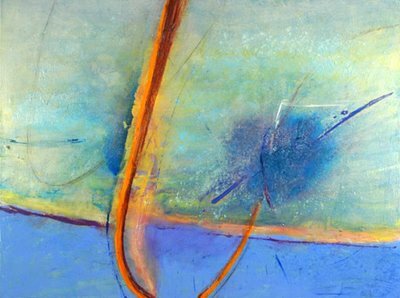 The League of Reston Artists (LRA) is pleased to announce that it is celebrating the success of its prestigious Annual Juried Exhibition by debuting a new name – artReston - for this year’s 13th edition of this respected and popular show. 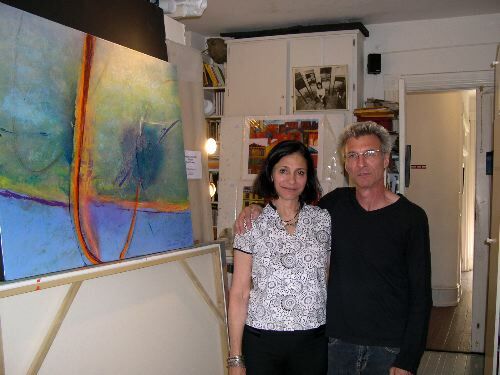 “artReston is designed to celebrate the importance of the visual arts in Reston. 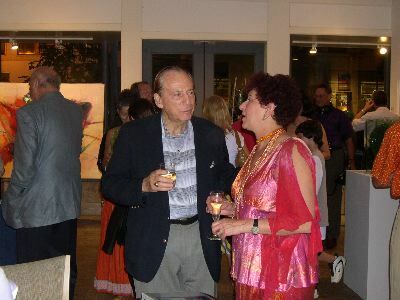 For more than 35 years the LRA has helped to elevate the profile of local artists in our culturally diverse community. 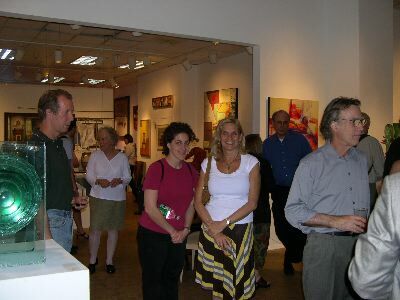 The purpose of the LRA’s Annual Juried Exhibition is to expose the Reston community to the contemporary art being created by talented artists from the metro Washington, D.C. region by exhibiting their work through a juried show presided over by a leading figure from regional art community. This year the LRA is honored to have Jack Rasmussen of the Katzen Arts Center serve as juror for artReston, the LRA’s 13th Annual Juried Exhibition.” – Mary Bronson, LRA Board President. 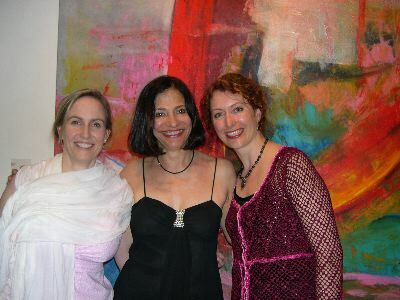 artReston will run from June 1 – July 2, 2006, and will be on view at the JoAnn Rose Gallery of the Reston Community Center at Lake Anne,1609-A Washington Plaza, Reston, VA 20190. Mailed entries must be received by May 25. "An interesting convergence will occur Wednesday, when the National Endowment for the Arts begins a three-day celebration of its 40th anniversary at American University's Katzen Arts Center. Inside the impressive new facility, commandingly perched on Ward Circle in Northwest, is an exhibition of political art, or "Visual Politics: The Art of Engagement," as it is called by the curators. This is art as provocation, political commentary, utopian imagination, protest and, sometimes, pure unmitigated rage. It deals with gender, race, war and imperialism." Read here. I went to a great artist talk Saturday morning at Hemphill Fine Arts. W.C. Richardson moderated a talk by exhibiting artists Steven Cushner and Jeff Spaulding (showing at G Fine Arts). It was an inspired morning listening to two seasoned professional artist educators in Washington, DC discuss their work. Topics included processes, meaning making, taking risks, relation to society, predetermined theme or not. The discussion was a human and poignant look at how the work of two prominent abstract artists flows. "Steven Cushner describes painting as a three-way dance between the objective (what is in front of the artist), the subjective (what she or he feels and experiences), and the material (which always has its own agenda, and embodies a resistance). CushnerÂ’s sources are all around him. And yet he is creating something that is not yet visible." "John Watson was born in Indianapolis, Indiana in 1975 and resides in Saint Louis, Missouri. He received his BFA from Webster University, St. Louis in 1997 and his MFA from The University of Maryland, College Park in 2001. 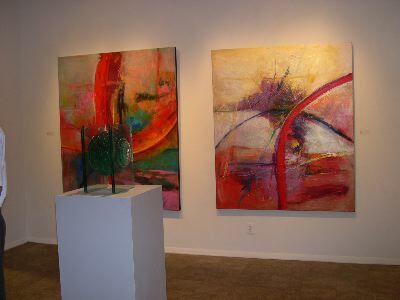 His work has been exhibited nationally and has been shown recently in Washington, Bethesda, Baltimore, Seattle, and Los Angeles. John is currently a Visiting Assistant Professor of Sculpture in the Leigh Gerdine College of Fine Arts at Webster University and maintains studios in Washington and Saint Louis. He is an avid bicycler." "These days the artist roams the inner city and explores flood plains whose underbrush serves as an urban filter trap. There he searches for discarded objects, recognizable artifacts that contain a social identity while triggering potent psychological associations." In contrast to her Â“colossal concrete human heads, whose cheeks rest peacefully on the floor, as if asleep,Â” this installation includes repetitions of small heads in patterns covering almost half of the gallery walls. Moe received her art training and diplomas from Technikon Natal in Durban, South Africa. She later moved to the United States and received an MFA degree in sculpture from Virginia Commonwealth University in Richmond. An emerging international artist, Moe has had exhibitions in Durban, Pretoria, Stockholm, New York, Washington, and Baltimore. Moe teaches sculpture at the Maryland Institute College of Art and currently works out of her studio in Washington, D.C.
May 18, 2006 6-8 p.m.
Join George Ciscle, curator-in-residence, Maryland Institute College of Art, and Sarah Tanguy, Art in Embassies curator, for a lecture on the ways in which artists and curators utilize and are inspired by museum collections. The staff of Weekend, The Washington Post's weekly entertainment guide, covers what's happening in the Washington area. They answer questions on everything from performances and new DVDs to weekend getaways and kids' activities, all kinds of fun things to do. They are happy to talk to you about it. "Thinking About Art: The One Word Project." The book documents the responses obtained during an online project held at the Web site, Thinking About Art (http://thinkingaboutart.blogs.com ). Each participating artist received a single word to which the artist responded with 100-500 words that pertained to the word and their art. In total, 42 artists from across North America participated in the effort and 39 are published in this book. 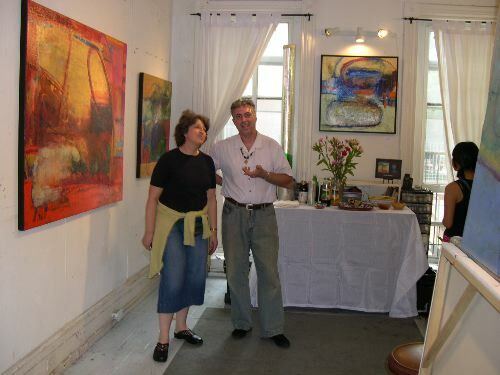 Each artist is represented by their writing and a full color image of their artwork. Happy Anniversary! I'll let you guess which amazing year this is! 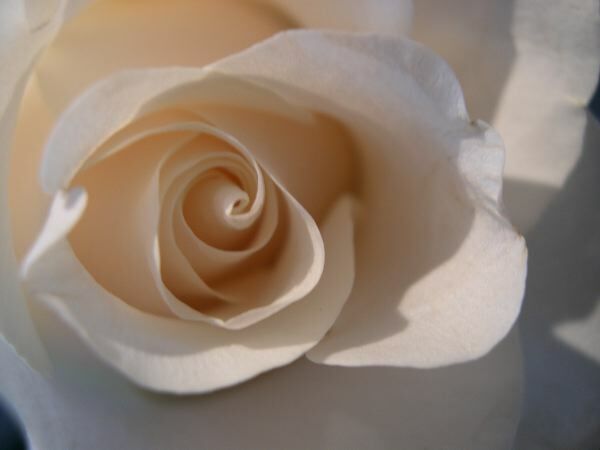 Life is fragrant like a blissful poem. 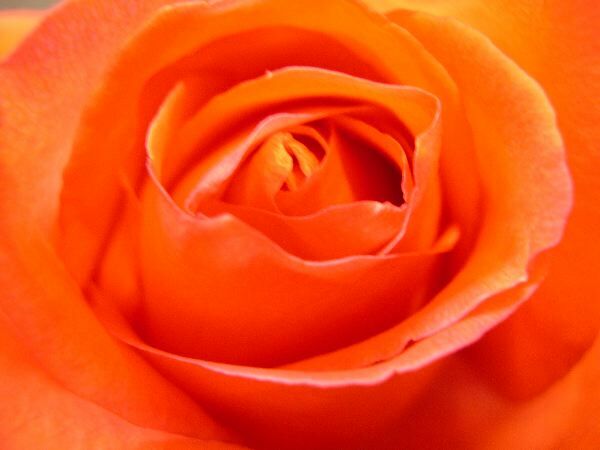 The roses keep on with their singing and I keep on listening. We're going to celebrate with a big bowl of pasta by Chef Steve at the Top o' the Town tonight. There's much to celebrate in life besides our Anniversary. *The show "ELLIPSIS" is up at ZENITH GALLERY with much interest from collectors. Plan to come by and see my art exhibition of eighteen months work of abstract paintings. I have loved working on this theme of celestial space inspired by images from the Hubble telescope. Our earth is a floating jewel like a sarpej, an ornament in God's turban. Looking at these space images reminds me of the priviledge of being alive. 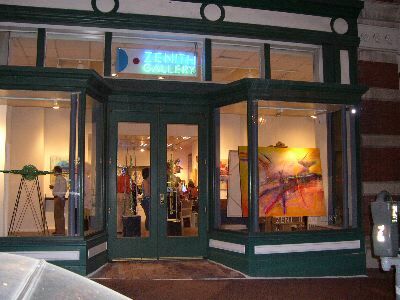 The Zenith Gallery is a short walk from the Gallery Place Metro. *Pass Gallery is holding a 10 Year Anniversary Show,"PassTense" which features one of my paintings called "Illuminata." It's a favorite of mine, smaller and more intimate. 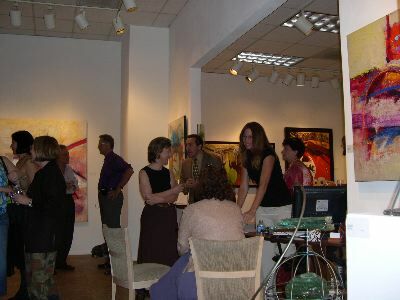 "PASSTENSE" is a large group show of Washington artists. Gallery owner and MCA artist, Richard Siegman, will be open next weekend during the MCA Open Studios Artwalk, so stop by and visit the exhibition during your weeknd tour of artists studios. 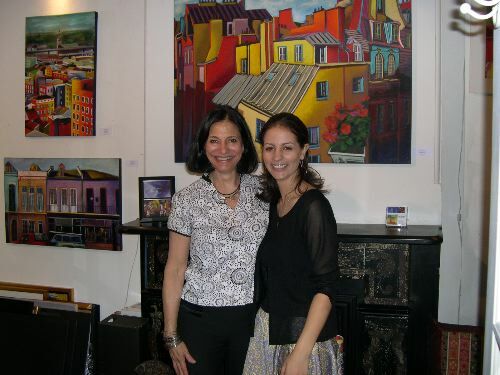 *MID CITY ARTISTS is holding Open Studios on May 20 and 21 from 12-5pm and I will be participating on both days. (More on that). *ZENITH GALLERY will hold a group show called "Our Town" in June with five artists exhibiting including myself. They will show several of my DC cityscapes. *And the ARTS COMMISSION and I are planning a dedication ceremony for my Takoma Community Center mural which was installed on March 30. I'll invite you to come and be part of the community celebration when we nail down a date. It's been an exciting season in the artworld. And if you haven't heard from me in while, it's 'cause I've been in the incubator of creativity and action, not a slow burn. I miss you too, so I'll call you for lunch. MIT research scientist and photographer Felice Frankel discusses her new installation, Sidewalk Science. Frankel will touch on photographing scientific phenomena and the vital role the images play in communicating science to the research community and the public. Ever wonder what to do with family when they travel a good distance to see you. Weekend Now gave me some new insights into what to see plus main DC attractions from "Rough Guide to Washington, DC". 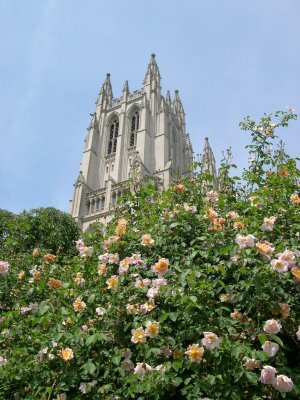 The Bishop's garden at the Washington National Cathedral was a visual and olfactory delight on Sunday. The cornerstone of the Cathedral was laid in 1907, and the final finial was set in place in 1990. Washington National Cathedral is the sixth largest cathedral in the world and the second largest in the United States. The stained glass “Scientists and Technicians Window” commemorates America’s exploration of space and man’s first steps on the moon. In the upper center of the window is a 7.18-gram basalt lunar rock from the Sea of Tranquility. The artist, Rodney Winfield of St. Louis, created the design to symbolize the macrocosm and microcosm of space. Radiations of light emminate from numerous solar spheres. Shining through deep colors are white dots symbolizing stars. The thin white trajectory encircling a sphere depicts a manned space ship. Winfield wanted to show the minuteness of humanity in God’s universe. Inspiration for the window’s design and color palette came from photographs taken during the Apollo 11 mission. It's a truly spectacular stained glass window in the darker interior of the Cathedral with rays from the bright afternoon sunshine creating a dazzling display of color light. "Weekend Now" debuted Friday, May 5, at 11 a.m. ET. washingtonpost.com will be doing this live chat every Friday with the staff of Weekend, The Washington Post's weekly entertainment guide at 11:00AM, and they hope you'll make it a habit. What a glorious springtime delight of great weather and great turnout for the Friday night Zenith Gallery Ellipsis Exhibition! Fellow blogger and art consultant, Sharon Burton at authentic art dc paid a surprise visit to this artist's opening as well as lots of friends and fellow artists; Betsy Packard & Jim Mahoney, Angela White, Mary Ott, Carlotta Hester, Freya Grand, David and Marcie Wolff Hubbard, and Chuck Baxter were spotted in the crowd plus many collectors. It was a good celebration of light, contrast, universal energy, transparency, color and sales! Here are some pictures from the opening compliments of S.C. Foster. 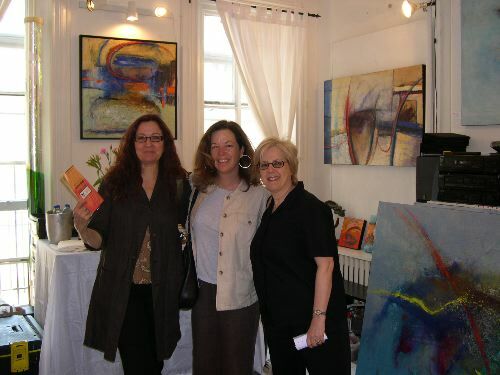 Thank you.... Margery Goldberg and Anne Surak and the staff at Zenith Gallery for a great opening event. Now for Sunday's opening reception. · · · · See you there! Zenith Gallery is proud to host concurrent solo exhibitions for longtime resident artist, Anne Marchand, and newcomer, Alan Binstock. 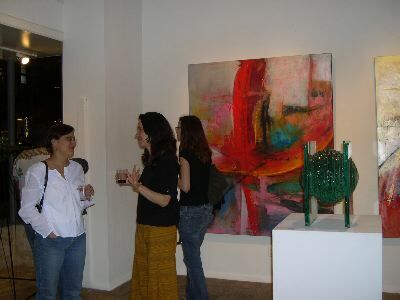 Both are fixtures of the Washington DC and Maryland art communities. Anne, a Washington artist and New Orleans native, has been an important contributor to the Washington community for many years. Her murals and public art projects can be seen throughout the city. 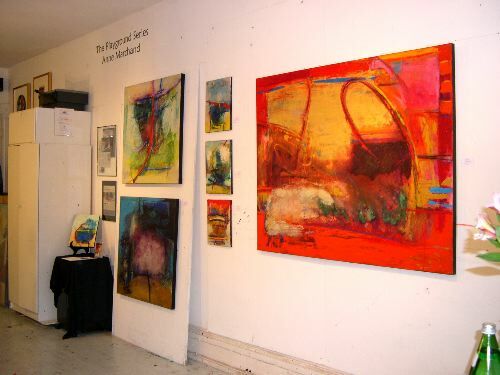 Anne Marchand sees space through movement. In this latest body of abstract, mixed media paintings, her compositions explore the connectedness of energy in the universe. Drawing inspiration from images of the Hubble telescope, her paintings contain the vastness of galaxies that morph into more recognizable and intimate earthly landscapes. Mt. 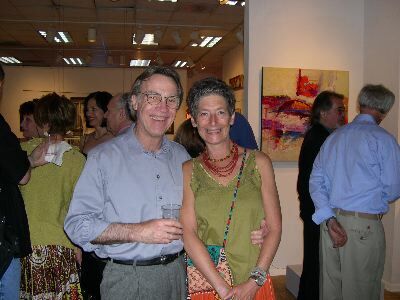 Rainier, Maryland artist, Alan Binstock is a sculptor, yoga devotee and NASA architect. His current body of work incorporates stone, glass and steel and is self-reflective. The sculptures balance, support and cantilever their way towards a visual resolution. Washington, DC 3 May 2006. “MOTHER is a multifaceted, multimedia exploration of motherhood,” states Anne C. Fisher. The exhibition opens on Mother’s Day weekend (12 May and continues through 9 June). MOTHER opens with a reception on Friday, 12 May, 6-8pm. Other receptions are Friday, 19 May, 6-8pm and Friday, 2 June, 6-8pm. 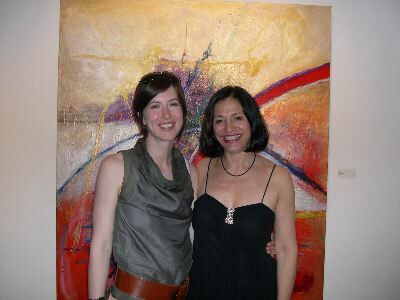 MOTHER features new work by 10 area artists who are affiliated with the Anne C. Fisher Gallery- Joan Belmar, Beth Cartland, Tory Cowles, Ellen Hill, Patricia Secco, Laura Seldman, Sandra Sugar, Camille Mosely-Pasley, Claudia Vess and Marcie Wolf-Hubbard. A wide range of media is used and combined in MOTHER, including painting, collage, other mixed media works, printmaking and photography. MOTHER reflects a variety of perspectives on motherhood, from Secco’s mandala, the archetypal mother and Vess’ ancient symbolic mother vessels to Belmar’s abstract collaged series of mothers and Cartland’s, Cowles’ and Sugar’s expressionistic mothers. From Hill’s aviary mother and Wolf-Hubbard’s collaged paintings incorporating family photos and text to Mosely-Pasley’s mother and infant portraiture from her upcoming book and Seldman’s intimate photographs, including one of her own mother’s aged and bejeweled hand. Including mine.....so let's make a night of it. 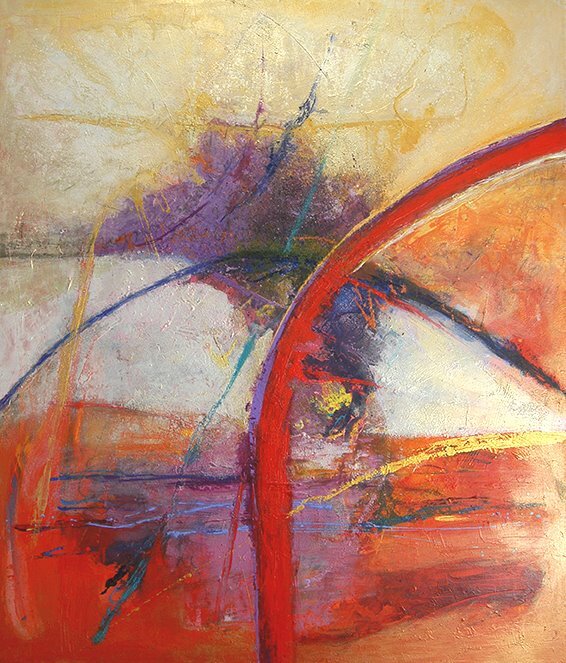 Hemphill Fine Arts opening for Steven Cushner • John Watson tonight, Friday, from 6:30 to 8:30 PM. 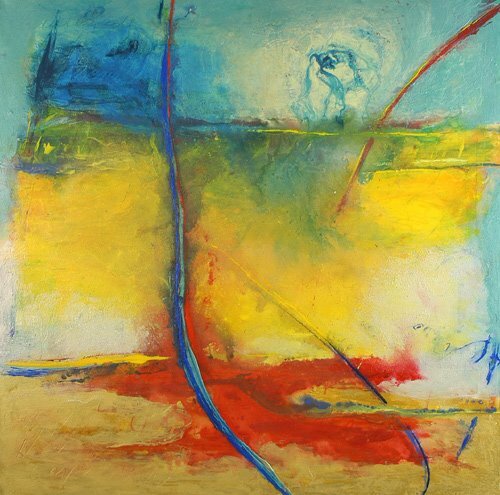 Irvine Contemporary Gallery opening at 1412 14th Street with Susan Jamison's and Robert Mellor's solo exhibitions open from 11:00AM - 8:00PM today and tomorrow. 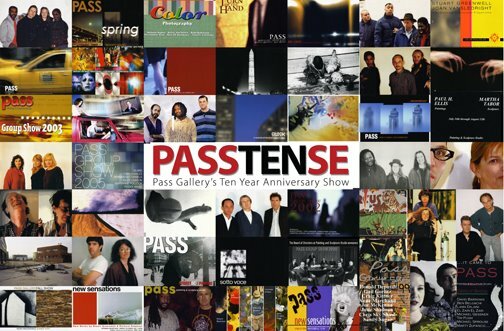 Pass Gallery in Dupont Circle opening for "PassTense, Ten Years of Washington Art" • Painting, Sculpture, and Photography show opening Friday, May 5 • 7:00 to 10:00 pm. I helped install the show on Wednesday. It's always amazing to take the work out of the studio and see it in a new light. 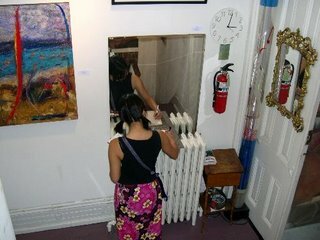 The gallery is tweaking lighting and we are all getting ready to celebrate my newest body of work on Friday and Sunday. I have family coming in for the event. I hope you can share the joy to have this energetic work up on the gallery walls. Between this show and the mural installation for the Takoma Community Center, my art life has been full this winter and spring. If you can't make the opening, I'll be in town during the month of May. We can arrange a meeting through the Zenith gallery. Alan Binstock's glass sculpture is stunningly beautiful and our themes resonate. Be sure to visit soon. Here's the gallery press release for the exhibition. Anne Marchand, "Sarpej," mixed media, 68" x 58"
Tuesday, May 9, 2006, 6:30 p.m. - 8:00 p.m.
May 9, 6:30 - 8:00 p.m.
Come explore the hidden dreams and real hopes of 58 exceptional women featured in the recently published book Extraordinary Women by local authors Ilene Leventhal and Francine Levinson. 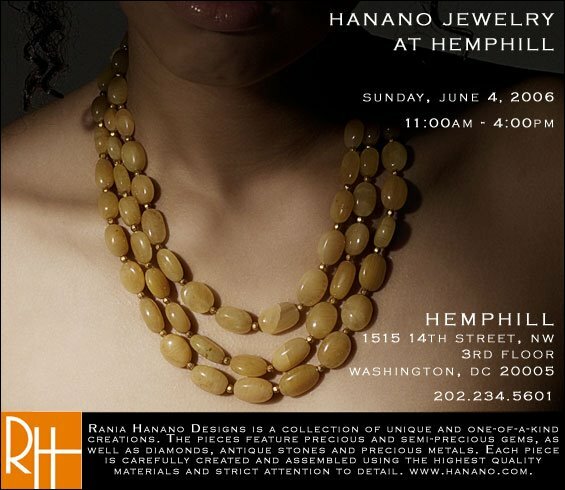 Meet some of these amazing women including the Founder of NMWA Wilhelmina Cole Holladay, jewelry designer Ann Hand, NBC4 TV morning anchor Barbara Harrison, author Kitty Kelley, artist Phyllis Greenberger, restaurateur Nora Pouillon, lifestyle editor of Washingtonian magazine Leslie Milk, and many more. Celebrate their achievements and accomplishments at this reception and book signing. Tickets should be purchased in advance by calling 877-226-5294, e-mailing museumbymail@nmwa.org or online. Ticket prices: $50/general admission; $45/NMWA members. Tickets include a copy of the book and admission to the reception. Proceeds from this event go to support educational programming and exhibitions. 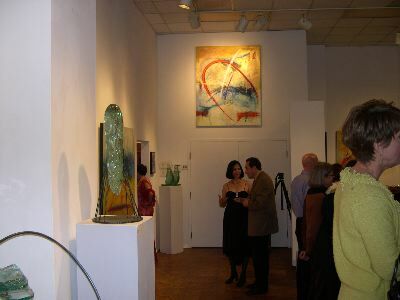 The National Museum of Women in the Arts is conveniently located in the heart of Washington, D.C., at the corner of New York Avenue and 13th Street, NW. Many other museums, the Convention Center, and the White House are within easy walking distance. Artist and writer, Jim Magner recently visited my studio after a cup of tea and an inspired conversation on meaning making in art. I shared thoughts on my new body of abstract work for the Ellipsis Exhibition which is opening this Friday at the Zenith Gallery in Washington, DC. Jim spotlighted my work in an article in the May issue of the Hill Rag. Anne Marchand "Raga Turning" Mixed Media on Canvas 48"x48"
Anybody recognize this painting of Washington, DC? The original, one of my cityscape paintings, is in a local collection. The newspaper's cover image was selected from poster images on my website. www.annemarchand.com. Thanks, nice cover! 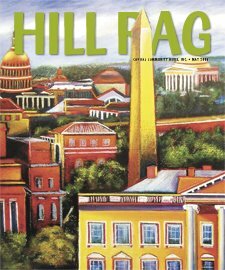 Hill Rag is available today, free of charge, at Metros, street corners and fine establishments across the city.